The current sea star wasting epidemic may have more in common with past outbreaks than previously believed. The ongoing epidemic of sea star wasting syndrome that is killing sea stars up and down North America’s Pacific coast is often referred to as “unprecedented.” From the Alaskan coast all the way to Baja, Mexico, sea stars are falling to a gruesome disease—a sickness that starts when a white film grows on the star’s flesh, and ends when the animal dissolves into mush. As you may have read, this isn’t the first time sea stars have died en masse to wasting syndrome. But for two important reasons this current outbreak seems to stand out. One is the expansive geographic range. The other is that unlike every previous epidemic, this outbreak continued to spread through the winter where the others came to a cold halt. Last year scientists linked the actual symptoms of sea star wasting with a virus. But as those scientists noted in their study, that virus, a type of densovirus, was present in sea stars at least 72 years ago. Clearly there’s something different about this outbreak, one that has seemingly defied the geographic and seasonal limits of its predecessors. So what is it? The key to historical die-offs always seems to be heat. In 1978, wasting disease nearly eliminated the common sun star, an eight- to 14-armed species, in the Gulf of Mexico. At the time, Gulf waters were well above historical averages. The next recorded outbreak, in the early ’80s, coincided with the ocean warming brought on by the 1982-83 El Niño. And in the summer of 1997, another El Niño saw a quarter of California’s Channel Island stars disintegrated. “We were calling it an echinoderm wasting back then,” says John Engle, who studied the 1997 outbreak. In the Channel Island outbreak, sea cucumbers, anemones, and brittle stars also succumbed to the warm water. In all of these past events, the epidemic ceased with the onset of autumn. It was like cool water somehow healed the stars, says Engle. In certain cases, you could even place sick stars into a bath of cold water and halt the disease. Marine biologists are baffled by the current epidemic, says Engle, because the wasting has continued to spread through winter as well as summer. “It’s just really curious that it’s not closely tied to warm temperatures,” he says. So has the virus adapted to cold water? In the winter of 2013/2014 marine life in the northeast Pacific Ocean was at the mercy of “The Blob.” Not the 1950s alien invader The Blob, the other Blob—an immense, stagnant mass of warm ocean water that pushed sea temperatures from British Columbia to California up by 2 to 4 °C. According to NOAA Fisheries, the northeast Pacific Ocean had never been so warm for so long as when it was under the influence of The Blob. “It’s pretty interesting that we saw the ongoing star wasting hit at a time when we’re seeing this incredible warming event,” says Carol Blanchette, who has studied the ecological effects of past wasting events. Though the current epidemic spread through winter waters, the water was actually still balmy relative to any other year, says Blanchette. If researchers are heading up the right creek, then both historical and present outbreaks of sea star wasting are actually linked to the nameless powers of warm water. “It’s the obvious suspect,” she says. So if that’s it—an already-present virus piggybacked on an unusual weather pattern to drive an outbreak of sea star wasting syndrome—is the current epidemic really so unprecedented? It’s likely that mass mortalities have occurred before but were never reported, says John Pearse, a retired University of California, Santa Cruz professor who witnessed the last wasting event. And if they did, it’s possible that word just didn’t get around as fast. In 1878, a report to the General Assembly of Rhode Island mentioned “lots of star-fish, dredged from different localities, what appears to be a disease, attacking the skin first and not infrequently eating its way through the body.” In some grave cases, the stars were “so seriously affected that some of the arms were entirely eaten through and the ends dropped off.” And nary a blog post was written about it. By contrast, we are now highly cognizant of these melting sea stars. “I live at one of the disease sites,” says marine biologist Kevin Lafferty, who now takes underwater dives explicitly searching for sick stars. “What you pay attention to is predicated by what you know,” he says. Perhaps in past events no one knew quite what or how to quantify what they were witnessing. According to Engle, a historical shortage of research funding and the obvious lack of modern technology meant that past die-offs were never as well documented. As such, it is difficult to know the extent of previous outbreaks: How many stars really were killed and how far did this disease truly spread? In effect, placing today’s outbreak on a wasting event scale of intensity is nearly impossible. We could not record the inception of sea star wasting syndromes and likely, have not observed their end. 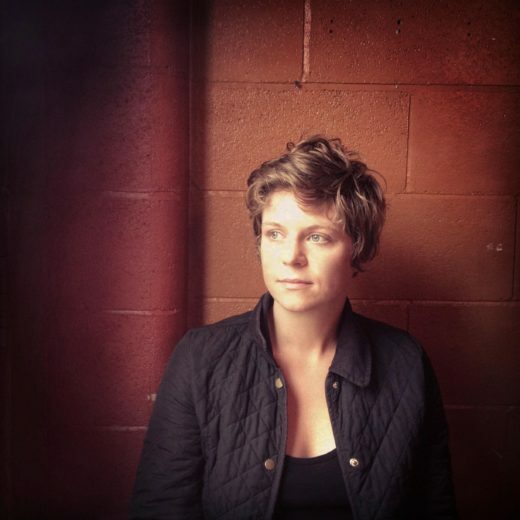 Becca Cudmore is a science writer from Oregon, currently based in Brooklyn. Her work has appeared in Audubon, Nautilus, The Scientist, Scientific American, Pacific Standard, and elsewhere. Cite this Article: Becca Cudmore “Striking While the Water Is Warm,” Hakai Magazine, May 20, 2015, accessed April 23rd, 2019, https://www.hakaimagazine.com/news/striking-while-water-warm/.